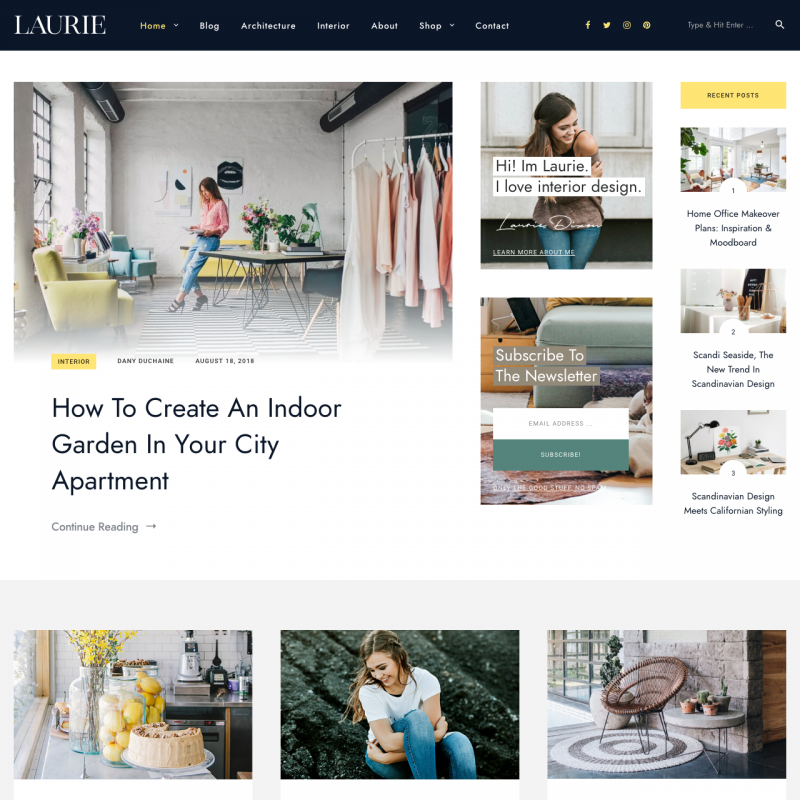 Laurie is a premium WordPress theme. 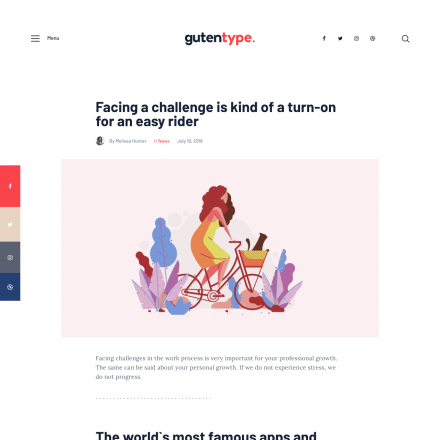 You may translate it to your language with Poedit translations editor. 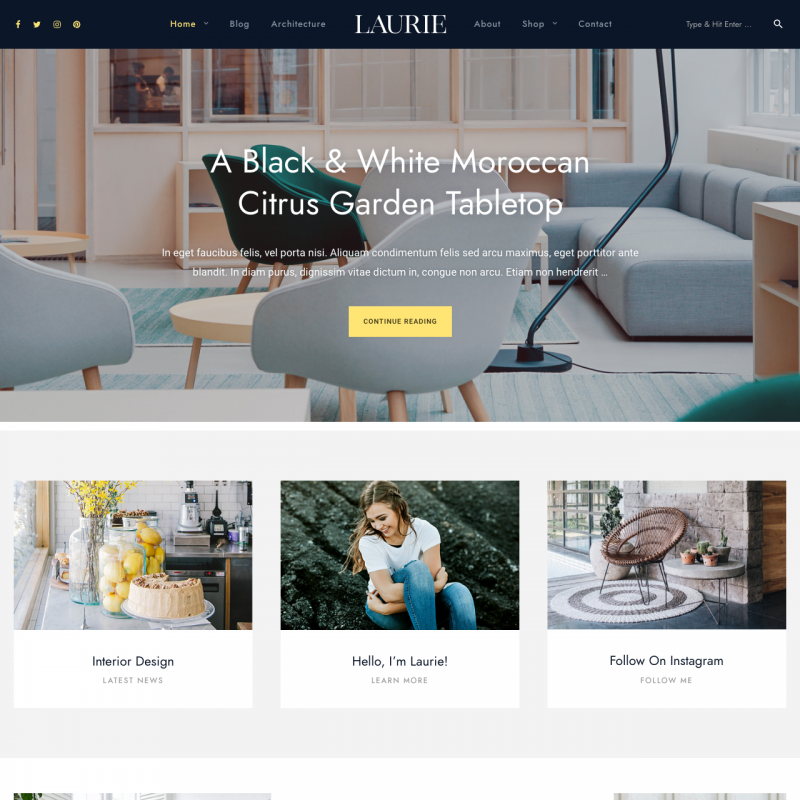 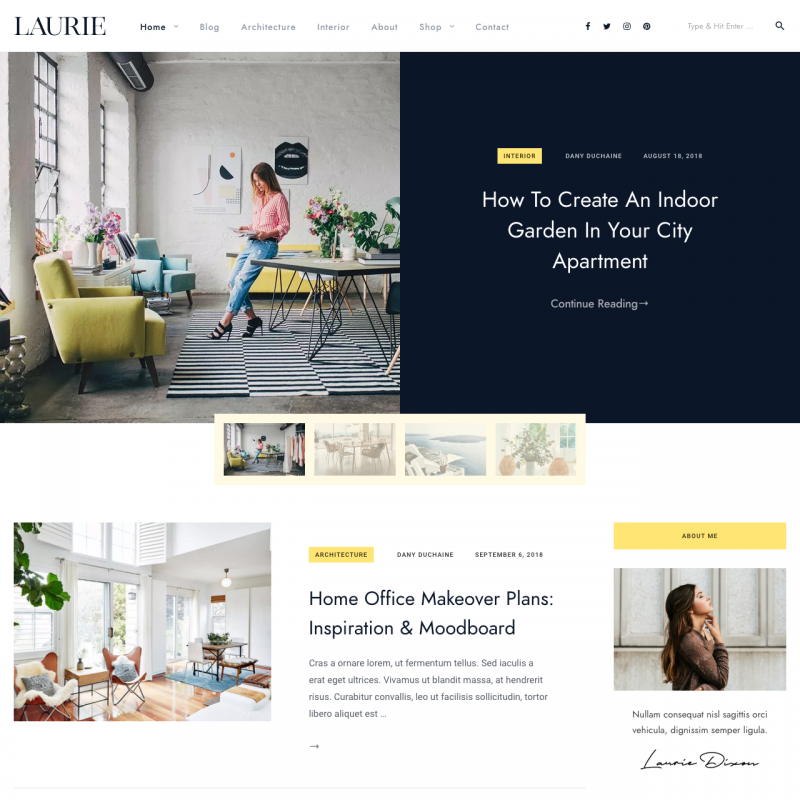 Laurie theme is suitable for interior, architecture, lifestyle, design websites. 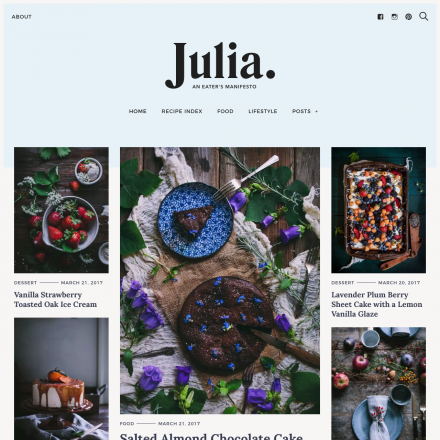 This premium theme provides 4 posts layouts, select between classic blog, compact posts layout or grid with and without sidebar. 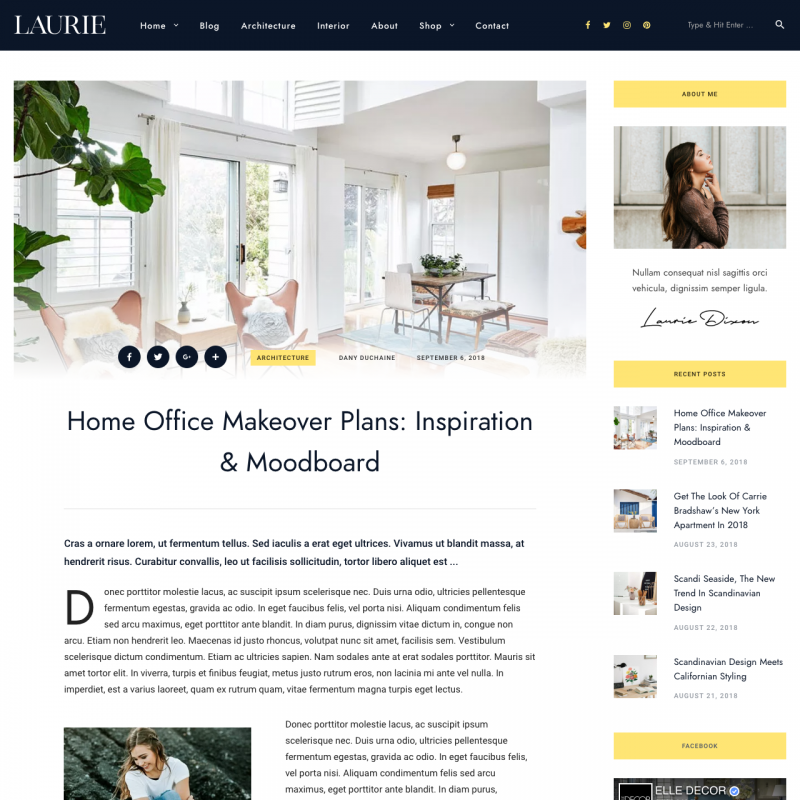 Laurie offers several layouts for featured posts on homepage, different header styles and the option to choose the sidebar position. 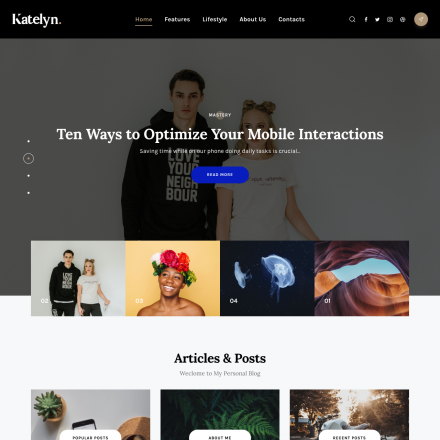 Also the theme provides 6 custom widgets, including About Author widgets, widgets for posts lists and a subscription form (integrated with Mailpoet or Mailchimp). 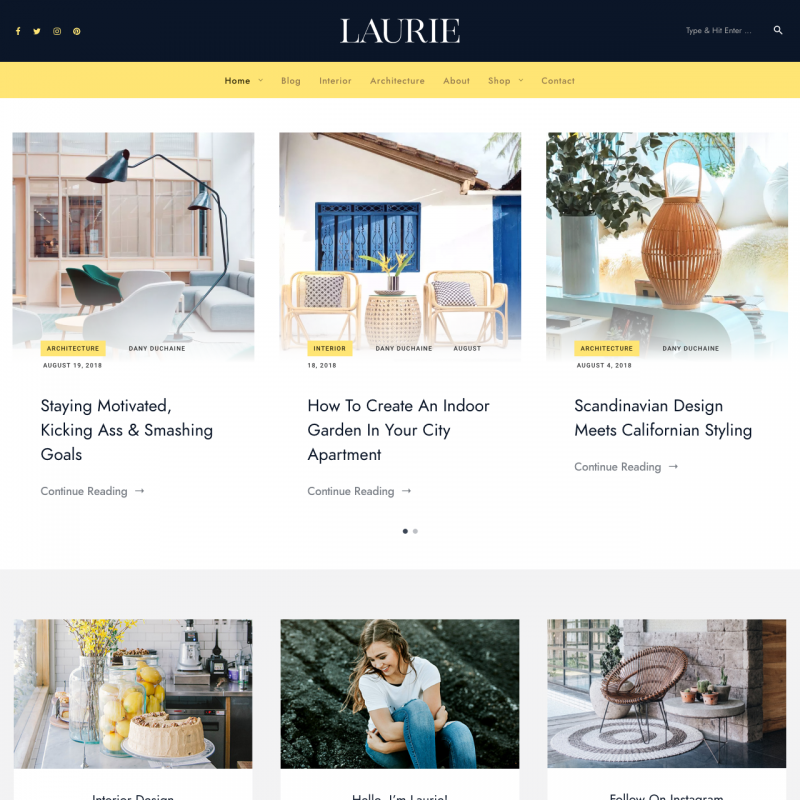 Includes Yellow Pencil style editor and compatible with WooCommerce.